Manufacturing materials and parts into finished products makes you a member of a collaborative team focused on a common goal: creating the highest quality product for the lowest possible cost. But for many manufacturers, even with the best intentions and good partnerships with vendors, you operate ill-equipped to ensure quality of parts and materials received from suppliers. To compete in today’s global economy, suppliers must find new ways to cut costs while consistently delivering the highest quality product. Using WinSPC, your suppliers can collect data and generate live charts and alarms on the shop floor. Engineers and managers can monitor performance with dashboard views, produce standard Quality reports, and employ data analysis tools to drill down into issues. Real-time SPC empowers these companies to improve quality and reduce variation, while the automated system saves time and human resources. Having your suppliers utilize WinSPC amplifies these results across your supply chain – and ultimately leads to further improvements in your own products and processes. WinSPC helps prevent unforeseen and undetected problems in supplier processes. With real-time alerts based on trends or out of control violations, supplier Quality personnel will be alerted to issues and be able to take corrective action in a timely manner. 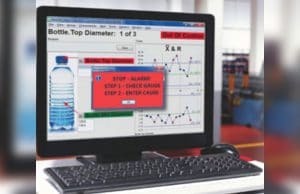 Because problems will be detected at the supplier site before product reaches your door, you will experience less down-time on your own production lines. Maintaining incoming inspection activities is costly and time consuming, and can be redundant if these inspection activities are also performed at the supplier site. By monitoring established levels of acceptable quality at your suppliers’ facilities, your inbound inspection can be reduced or eliminated. Mandated Quality reporting on shipments can be implemented to ensure standards are met as a replacement to incoming inspection. This secures the quality of incoming material, reduces the expense of rejections, returns or rework, and minimizes inspection costs. Having suppliers send paper reports or Excel files on a regular basis can be time consuming, error prone, and can lead to a convoluted paper/file administrative burden. Regardless of who owns this data, put the data to work for your team by having immediate access to Quality reports, including historical data, all in one location. WinSPC has 100+ digital Quality reports that can be attached in a single click to an email, automatically generated based on events, or launched at scheduled intervals. And of course, for those manufacturer/supplier partnerships with shared WinSPC access, data is available to both parties to interact with in near real-time. Knowing your suppliers’ performance on key characteristics is vital to your final product quality. WinSPC provides a deeper understanding of supplier capability and enables you to determine the level of supplier oversight needed throughout your supply chain. You can view current measures of Quality statistics and compare performance between similar suppliers on demand. You can also combine various data visualizations with data filtering options to track increases or decreases in supplier quality metrics over time. 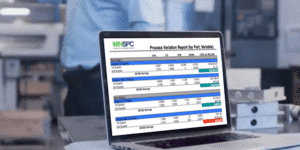 Additionally, WinSPC’s Cost Inspector™ calculates savings opportunities for process improvements among your suppliers, providing cost-based justification for production changes or uncovering a new path to bottom-line success. WinSPC can rank quality issues across suppliers to determine which suppliers are high-risk and which are consistent performers. By uncovering this information, you can move away from auditing across the board or regularly scheduled audits, and instead weigh auditing efforts based on performance to standardized acceptable Quality levels. This helps your suppliers as well, reducing audit costs for those with high performance histories. Multiple WinSPC deployment options are available for implementing a supply chain quality solution. Data management, data ownership, and data security are key considerations in how to design your system. Our solution experts will consult with your team to define which approach will best fit your needs, whether they include an on-premise architecture or secure cloud-based components. To learn more about WinSPC, watch our 4-minute tour of the product.